More than 400,000 Texas students will have the option of transferring to new schools because their schools have ended up on the Public Education Grant list. KERA's Shelley Kofler says making the PEG list brands a school as having poor academic standards. There are two ways a campus can make the dreaded PEG list. It can be rated unacceptable or at least twice in the past three years at least 50 percent of its students have failed part of the TAKS test. DeEtta Culbertson with the Texas Education Agency says making the PEG list doesn't necessarily mean the school is bad but it does mean student performance is not meeting state standards. Culbertson: We have our accountability standards that schools have to meet and schools that fail those are subject to sanctions. This is one way for parents to gauge the academic performance of that campus. Then it is up to them to decide if it meets the needs of their student. This year, standards for identifying the PEG schools were tightened which may be part of the reason the number of campuses on the list rose 65 percent. In North Texas, 43 Dallas campuses have such low academic performance student have the option of transferring to another campus next fall. 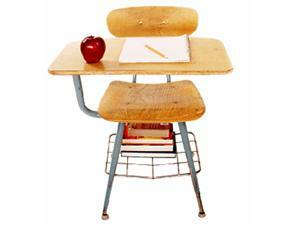 The list also includes 29 low-performing schools in Fort Worth and seven in Arlington. While hundreds of thousands will have the right to change schools, the Texas Education Agency says less than one percent usually transfers. One reason: students must arrange their own transportation if they decide to enroll at a new school. The PEG list is also notable for the schools not included; they're the ones meeting state standards. In North Texas, that includes the districts of Mesquite, Richardson and Hurst-Euless-Bedford.